How do educators begin planning for 1:1? As the 2015 Middle Grades Institute draws to a close, we check in on some of the amazing work educators have been doing with their teams this week. And this time we’re focusing on the 1:1 planning they’ve been doing. 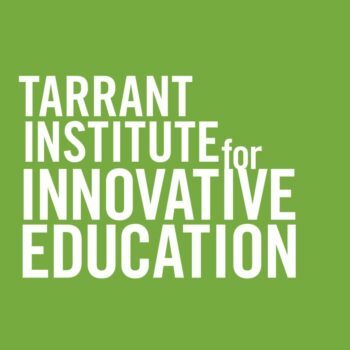 In an effort to keep families informed as this initiative rolls out the Community School has setup a Tarrant Foundation Web Site that parent can visit to answer any questions that may arise. The school will also be hosting a Grand Rounds Parent Night where parents can talk to teachers, technology support personnel, and representatives from the Tarrant Foundation. Our overriding goal through all of this is to make sure that all students graduating from the Shelburne Community School are prepared to enter high school as a fully functioning 21st Century Citizen. Rubber? Meet road. Technology? Meet traditional face-to-face communication. This dual-pronged approach respects the busy, busy schedules of student families with an evening option as well as an online vehicle that can be consulted on an on-demand basis. Additionally, communicating through multiple modalities respects the needs of different communication styles. How do principals think about going 1:1? John Craig, from Hazen Union School blogged about having an a-ha moment during a 1:1 workshop for administrators and school leadership. [The] message was recognize the road blocks, but don’t admire them. I think this idea will be essential as we move forward with our implementation over the next year. At times our roll-out and work will not be easy. At times we may feel stuck. Regardless, we will need to keep moving forward. Our 1:1 implementation will help reshape our school and possibly our community. Love the can-do attitude, for one, but also love seeing a principal be so open about reflecting on the quite frankly daunting challenges in a 1:1 rollout. Crossett Brook Middle School is working on going 1:1, and they started by crafting a concise, vivid, team-negotiated vision statement about what their goals are. 1:1 environment @ CBMS- what can this look like, and how do we get there? We envision a student-centric learning environment where students use modern technology as a tool routinely, transparently, and naturally in their journey to become lifelong learners and contributing members of a global society. 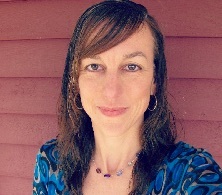 I went to [Maura Kelly]’s workshop on 1:1 rollout in the classroom yesterday afternoon and found it incredibly helpful. Attached to this post you will find my notes with links to Maura’s Google Slides presentation and a direct link to the “Family Contract” that her school utilizes that is signed in order for students to take ChromeBooks home. The contract seems like something that we should seriously consider implementing if we want to allow our students to bring home their ChromeBooks. I especially like the idea of students receiving a 90% if they sign the contract and a 100% if they record themselves having a guided discussion with their parents about digital citizenship after. The notes also include some pros and cons of students taking their devices home, information on “zones,” and a way to check in to see if you are using ChromeBooks productively in your classroom. How are you (or did you) begin planning for going 1:1?